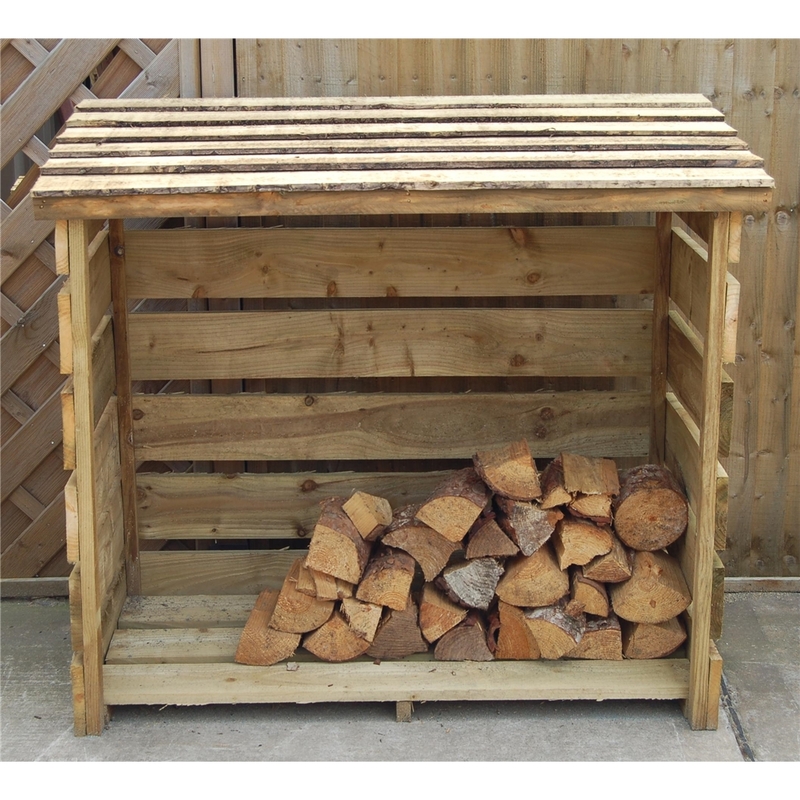 4ft x 3ft Pressure Treated Small Log Store ideal for storing your logs during those winter months. 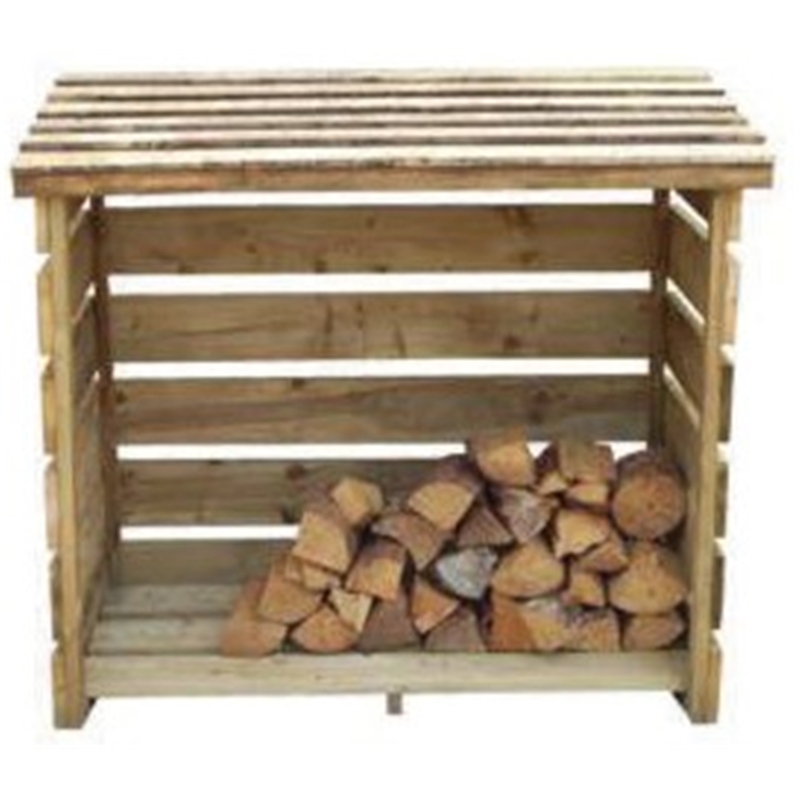 The Small Woodstore allows you to dry your logs ready to burn. 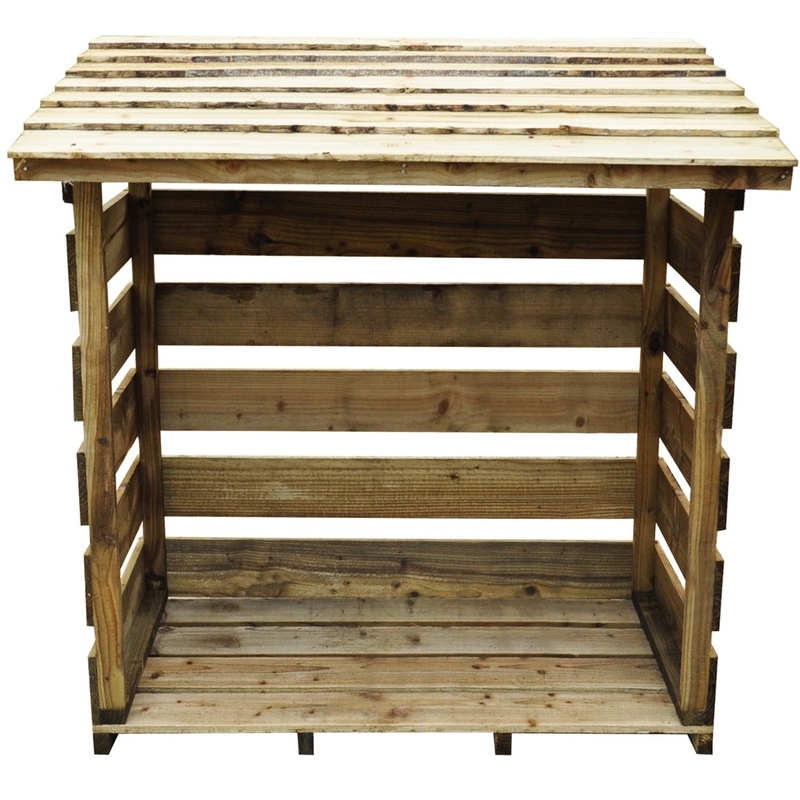 The slatted design of the store allows air to flow through and reduce the risk of damp. 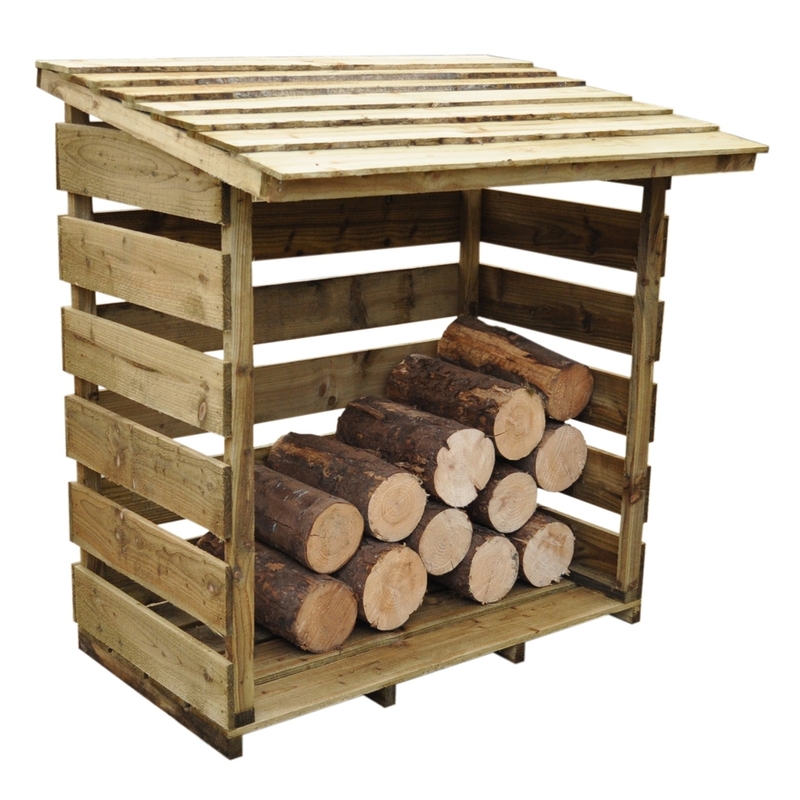 The timber used to manufacture this log store has been Pressure Treated to give a 15 year guarantee against rot and fungal decay. 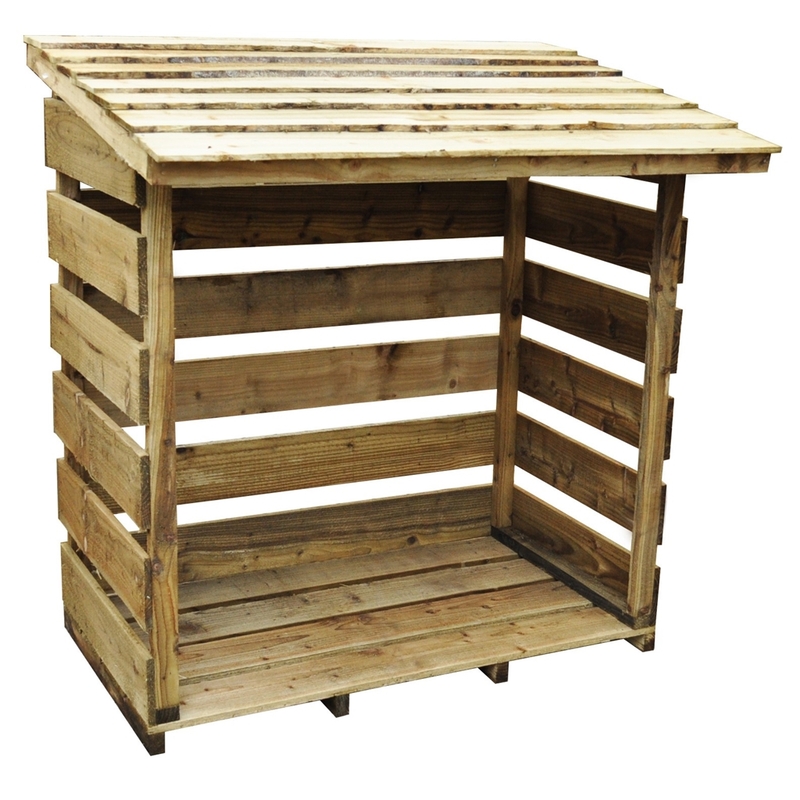 The back, floor and sides are made up of rough sawn slatted boards which enable air to pass through and optimise the drying process. The roof of the store has an overlap construction to encourage rain water run-off and improve the longevity of the building. 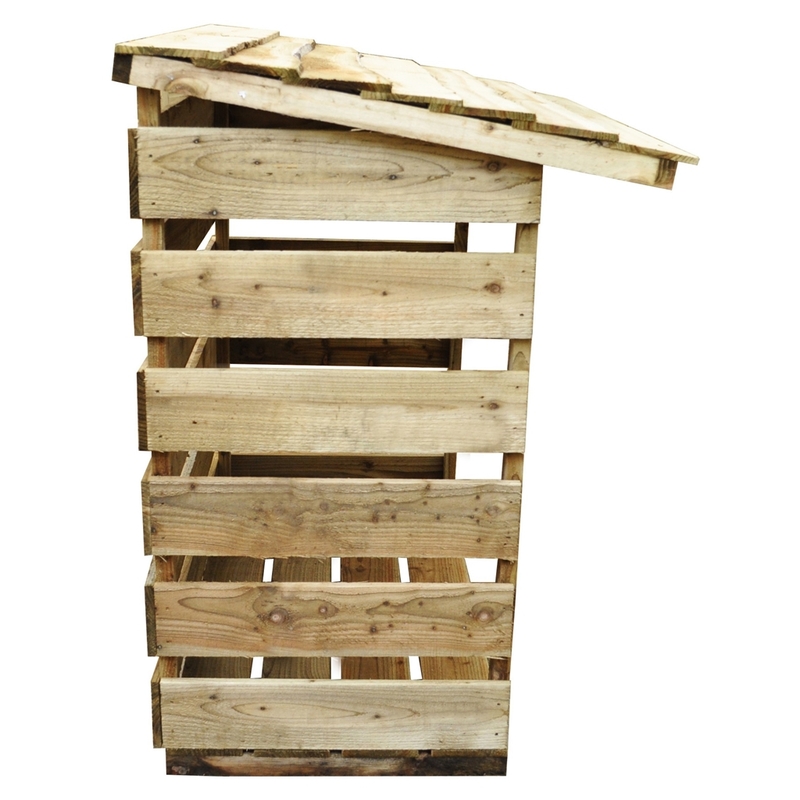 To keep the logs from contact with the ground, the base has Pressure Treated floor bearers. We also recommend using a weed block fabric in the base to stop weeds from causing damp. 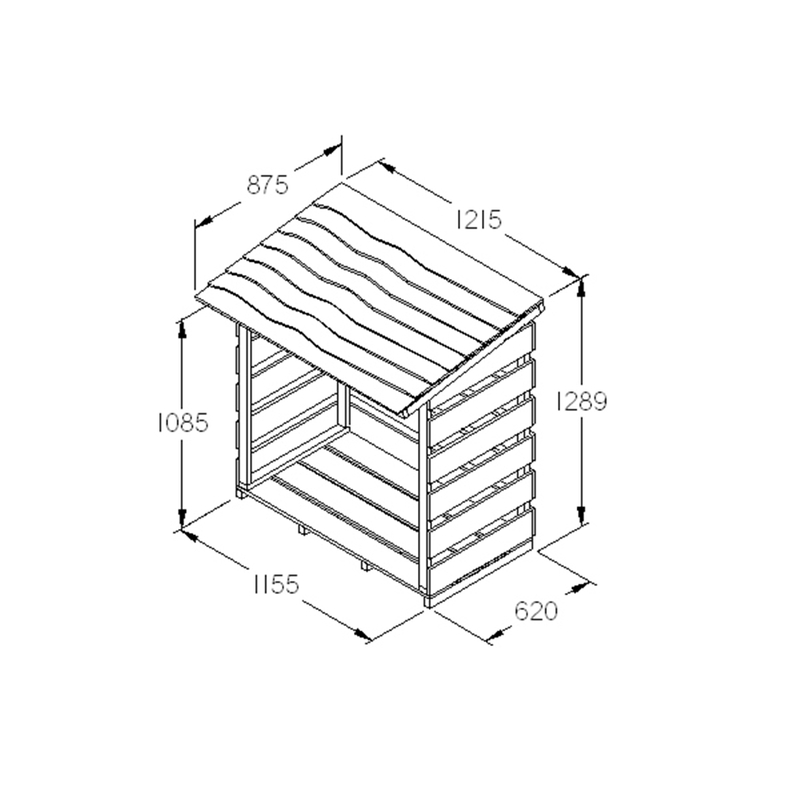 Fixings and instructions are included for a simple self-assembly.